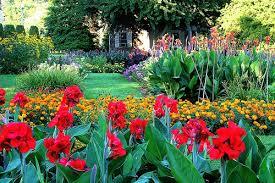 Nothing hinders your “green” thumb more than a garden full of weeds. While most products on the market are full of harmful chemicals and toxins, you may be looking into more earth-friendly options to banish them from your botanical oasis. Vinegar, citrus, olive oil and herbs are all excellent DIY ingredients that can safely clean surfaces inside your home such as wood, tile and granite. However, when it comes to killing pesky weeds in a flower bed or vegetable garden, you probably reach for poisonous products that can sicken children and pets and harm the environment. If you’re looking to keep your gardens free from weeds this season, there are a number of natural ideas you can incorporate without messing with Mother Nature. After you’ve planted your seed packets, flowers or veggies into the ground, you can cover the soil with mulch. Layering the shredded bark two or three inches in depth will smother the weeds and help the soil retain its moisture. In addition to enjoying a chemical-free yard, you can also conserve moisture when you add mulch. If you’re looking to use up your old newspaper or magazines, you can recycle the paper materials in your garden. Wet thenewspaper and place 10 sheets stacked throughout your garden beds. The paper prevents oxygen from reaching the plants and keeps new weed growth from sprouting. Apply a thin layer of mulch on top of the newspaper as an added reinforcement to a weed-free garden. Rodents, bugs, germs and weeds are typically treated chemically. However, the toxic methods in which you’ve chose to terminate the unwanted infestations can prove dangerous, especially if you’re allergic to the solutions. If you’re looking to destroy weeds growing out of your driveway, sidewalk or walkway, boiling water can penetrate the ground’s surface and annihilate the weeds. However, since this hot liquid can destroy other plant life with its heat, you want to restrict its usage in high planted areas. Vodka isn’t solely restricted to your favorite martini. Mixing one ounce of vodka with two cups of water and a few droplets of dish soap helps dry out weeds that are left in the sun. Unfortunately, it doesn’t work as well in garden beds left in the shade. Because the vodka solution can’t decipher a weed from your perennial, you want to spray the solution carefully around your other flowers and plants. The declining bee population is a major concern for environmentalists. One of the primary reasons behind their dwindling numbers is the amount pesticides used in farms and homes. If you’re looking for eco-friendly ways to kill weeds while protecting bees, vinegar is a proven solution. Simply pour regular household vinegar into a bottled sprayer. Since the vinegar solution is 5 percent acetic acid, it can burn and destroy unwanted weeds. It also works best on sunny days. Corn meal gluten is a great natural weed killer that prevents the unwanted vegetation from sprouting in the first place. You can safely apply the gluten product to established plant beds, vegetable gardens and flowers. While it won’t kill weeds that are already established, it can prevent weeds from spreading. On days when the weather is sunny and hot, the oil in dish soap can break down the heavy surfaces of the weeds. If you’re looking to get rid of deep rooted weeds, a mixture of 2 cups of Epsom salt, 1 gallon of household vinegar and ¼ cup of dish soap can be enough to destroy the pesky plants. Plus, because the dish soap gives the leaves a shiny appearance, you can easily keep track of where you’ve last sprayed.